The long term game that emerging medical cannabis company MMJ PhytoTech (ASX:MMJ) is playing is gradually paying off. MMJ has been going about its business of building a vertically integrated “farm-to-pharma” company to great success to date – hitting key milestones that include first revenues from its products. However looming regulatory changes in Australia have the potential to light a rocket under this stock in the near term. At the same time, MMJ is a speculative stock, and success is no guarantee. After all, it’s all well and good noting bullishness in other jurisdictions with regards to medical cannabis regulation, but when the market starts to see the opportunities in its own backyard, that’s a whole different story. We’ve covered this promising pharmaceutical company before and while shareholders have been supportive in the past, news that MMJ is investigating its options in Australia has the potential to wake a lot more investors up to the potential here. The regulation of medical cannabis has been in the news lately, with mastheads devoting column inches to the subject. Current affairs programs have been discussing it in greater detail too. Now the groundswell of community support has opened the opportunity – and investors are hearing about it almost every single day. 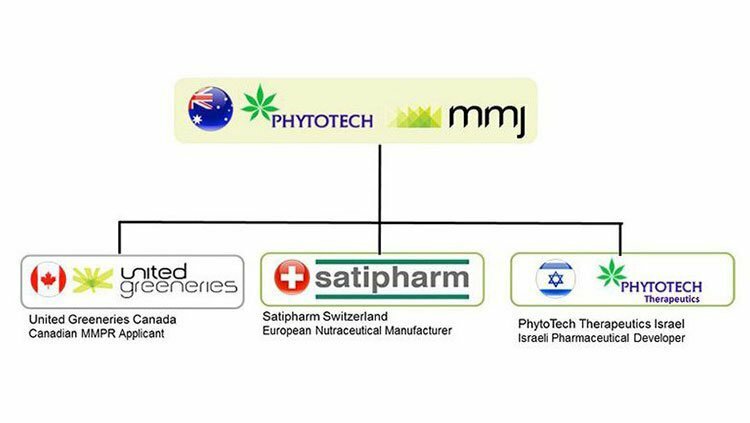 MMJ PhytoTech (ASX: MMJ) has been on a path to commercialising products derived from medical cannabis for several years. Following a high-profile merger between PYL and MMJ Bioscience earlier this year, MMJ PhytoTech was born. We’ve been tracking the re-configured MMJ from day one, as part of two articles, ‘ ASX Company to Disrupt $916BN Big Pharma Industry? ’ and ‘ Game Changer for MMJ: First CBD Pill Sales Confirmed ’. In both articles, we went into great detail covering one of the hottest sectors around – medical cannabis, and how MMJ is best leveraging in its recently-liberated commercial potential. In this article, we continue our coverage as MMJ progresses its strategy to become a vertically integrated supplier of medical cannabis derived products into a gargantuan $916BN per year pharmaceutical industry. The past few months has seen a step-change in the regulatory environment in Australia, and MMJ could be one of the few companies in Australia uniquely positioned to take advantage of the sentiment. Earlier this month the Victorian government confirmed that it would introduce legislation before the year was out to allow locally manufactured cannabis to be supplied to those with serious medical conditions. These can include illnesses such as cancer, multiple sclerosis, HIV/AIDS, epilepsy and chronic pain. “I’ve seen first-hand how medicinal cannabis can change people’s lives. 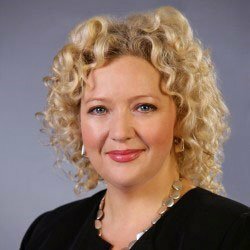 This landmark reform means Victorian families will no longer have to decide between breaking the law and watching their child suffer,” Andrews said at the time, backing up sentiment from health minister Jill Hennessy. “Victoria is leading the way on legalising medicinal cannabis because we know the difference it can make to a patient’s quality of life, and because we know the evidence is growing in support of it as a treatment option in exceptional circumstances,” she said. The change in rhetoric from state leaders backed up similar regulatory moves in NSW and Queensland, and MMJ signalled at the time that it would investigate opportunities in Victoria on the back of the move. In the middle of October, the government announced that it would seek cross parliament support for legislation which would allow the cultivation of cannabis for scientific or medical purposes . Key to both the Victorian and Commonwealth stances is that any products derived from cannabis would need to be made locally by local companies, meaning that larger foreign companies would need to establish a local operation to cash in... Enter MMJ. With an established Australian presence, and arms across the globe, MMJ is aiming for the best of both worlds. It’s an ASX-listed company meaning it has the local angle cornered and because of its hard work in getting a vertically integrated operation off the ground overseas, it means it’s one of few companies in Australia which is uniquely positioned to take advantage of the predominant market conditions . While we should note this is not a short-term revenue play, the potential is enormous. MMJ has hired esteemed law firm Piper Alderman to get a better handle on the regulatory framework it is likely to work in, and the company raised $2 million to fund its entry into Australia. MMJ has signalled to the market it is serious about Australia – and the numbers tell the story as to why. At the moment, these numbers are highly speculative and would apply to MMJ at a later stage of its development, so bear this in mind if considering MMJ as part of your portfolio. According to the Cancer Council, 126,000 cases of cancer will be diagnosed this year . This includes cases of prostate, bowel, breast, melanoma, and lung cancer, and Australian Institute of Health and Welfare found in the 2011 financial year there were about 350,000 hospitalisations for chemotherapy treatment. This does not include data on outpatient chemotherapy sessions, meaning there’s out of hospital sessions not being counted in the data. The AIHW estimates this number to be just over 130,000. Note that these aren’t individual patient numbers, but rather just individual treatment numbers with one patient receiving multiple round of chemotherapy. Those with loved ones who have gone through chemotherapy will know it is not a gentle process with patients suffering the worst nausea and illnesses as a result of therapy. However, while there are drugs available to help with the side-effects of chemotherapy and radiotherapy it can still be a living hell for those receiving it. The change in stance from state and federal governments simply reflect that the building overwhelming scientific consensus that products derived from cannabis are making a real difference in alleviating the suffering of those living with cancer. 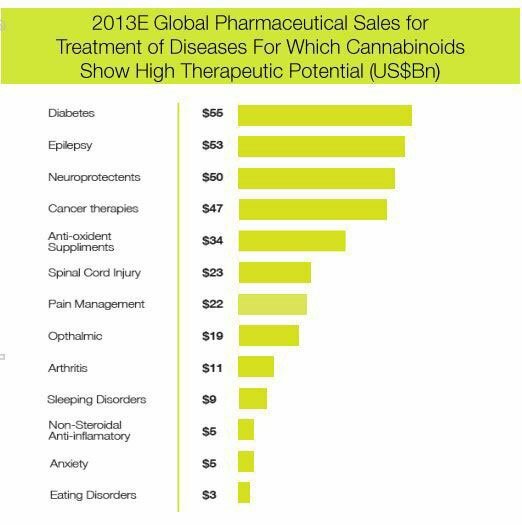 Cancer is only the tip of the iceberg though, with the products being manufactured by MMJ having the potential to help those with diabetes, multiple sclerosis, and epilepsy. As we said before, this is a long-term play for MMJ. It is one of few Australian companies with the track-record to demonstrate that it can be a reliable supplier of products derived from cannabis for medical purposes. MMJ has managed to capture the entire supply chain as part of its operations – a key hurdle to achieving commercial success. If there was a company uniquely positioned ahead of its peers to take advantage of a potential long-term change in the regulatory framework in Australia, it’s MMJ. In another potential regulatory win for MMJ, the Canadian Supreme Court ruled in June that all forms of medical cannabis are legal. The ruling effectively overturned the ban on cannabinol in the country, opening up a whole new ballgame for MMJ – one where it could find itself ahead of the competition. Before the latest ruling, medical cannabis could only be supplied to patients in its dried form. “[the ban is] contrary to the principles of fundamental justice because they are arbitrary; the effects of the prohibition contradict the objective of protecting health and safety”. It was somewhat of a common sense ruling, which would allow those with crippling pain to take their medicine in pill form. It was a ruling which opens the door for MMJ to become a first-mover in Canada as well. At the moment, those growing medical cannabis have been doing so under the proviso that they do so to supply dried cannabis to the market. MMJ has been doing much the same thing with its subsidiary, United Greeneries. The subsidiary is responsible for growing the cannabis plants from which valuable, high margin, pharmaceutical ingredients such as cannabidoil (CBD) and Tetrahydrocannabinol (THC) are extracted. United Greeneries has two state-of-the-art facilities, and is awaiting final regulatory approval to start growing 700kg of cannabis in one of them, the Duncan facility. It also has a second project in the works in Canada, which could bring production up to 12,000kg per year. The game changer, however, is in the biochemical quality testing facilities and analytics lab at Duncan. Few growers have these facilities at their disposal, which potentially makes United Greeneries’ product the best on show in the industry. However, it also opens the possibility that it could move to extract the vital pharmaceutical ingredients from cannabis grown on site and manufacture other products such as oral capsules. MMJ could have just opened up a first mover advantage in both Canada and Australia. United Greeneries is just one part of the equation for MMJ, an equation which is key to its fortunes in both Australia and Canada. More broadly, MMJ is pursuing what it calls a ‘farm-to-pharma’ strategy. It is doing so as the result of a merger completed back in July between PhytoTech and MMJ (hence the name), allowing it to play along the whole medical cannabis value chain. The medical cannabis industry is growing increasingly sophisticated as laws restricting cannabis’ use as a medical substance start to loosen around the world. This has created opportunities for entrepreneurial companies such as MMJ to come in and build a pharmaceutical company from the ground-up. Usually to set up a pharmaceutical company costs an exorbitant amount of money, but by merging two entities it has managed to keep costs down and build an integrated company. Longer term, MMJ has plans to be a key supplier of ‘Active Pharmaceutical Ingredients’ extracted from the cannabis plant. The company has estimated that these ingredients can go for as high as $350,000 per kg, and in some cases MMJ is planning to produce up to 20kg per month. However, the target should be taken with caution and analyst reports are only one thing we look at when deciding whether or not to invest in a company. Satipharm is the Swiss subsidiary of MMJ, responsible for development and commercialisation of the strains it extracts from the medical cannabis grown by United Greeneries. It is also the outfit responsible for MMJ’s first product sales and revenue – of its cannabinol dietary supplement pill, which is sold over the counter in Europe (or via an online portal to be more accurate). 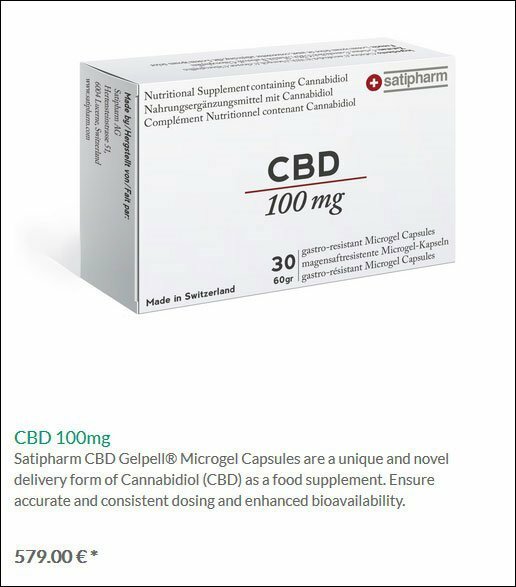 MMJ confirmed at the back-end of August that it would sell the pills, saying that it intended to manufacture a total of 1 million capsules in 2015, selling at about 3 euros retail and 1.95 euros wholesale per pill. Satipharm was also set up to support its longer-term ambition of selling the aforementioned API ingredients to manufacturers and laboratories in large quantities. Not content with the sales, MMJ is also looking into the next generation of products it can derive from its strains of CBD and other ingredients derived from the cannabis plant. Based in Israel, the R&D unit received approvals for phase one clinical trials of a cannabinoid pill aimed at staving off the effects of multiple sclerosis (MS) including pain and spasticity. The clinical trials have just commenced , with results expected in Q1 2016. This demonstrates the blue sky thinking MMJ is pursuing. Multiple Sclerosis is a disabling lifelong disease, which attacks the central nervous system. It affects more than 1.2 million people worldwide and spasticity is one of the most common and most disabling symptoms, affecting up to 84% of patients. PhytoTech Therapuetics has found one of the most effective treatments for the pain caused by MS was the use of a safe and tolerable combination of THC and CBD on a 1 to 1 ratio. It’s now working on such as ratio in pill form. MMJ also recently conducted temperature stability trials for its product, finding that the product has a long shelf life when stored at room temperature, increasing its commercial viability in its current form, as it reduces the costs of shipping and storage. Meanwhile, in order to get up to commercial speed as soon as possible, MMJ has told investors that it was in discussions to obtain commercial quantities of key ingredients and it was also talking to “one of the leading GMP manufacturers worldwide” for supply of soft gelatin capsules. MMJ is still capped at less than $100M and getting this R&D right is no guarantee – so caution when investing should be applied, and it’s always recommended to seek professional advice before investing. MMJ is playing in a potentially lucrative space, with the global pharmaceutical market thought to be worth about over $916 billion. However, the industry grew without governments around the world supporting treatments derived from the THC and CBD inherent in cannabis. But as in evidenced in Canada and Australia, governments are starting to realise the potential for a whole new income-generating industry to be set up in their countries. It’s why the Australian government is keen for a local player to set up a supply chain in Australia rather than simply having foreign companies supply into the market. There’s simply more value for the government to set up an industry in Australia – while also helping citizens in pain. A wave of medical research from around the world is now flooding in suggesting the compounds inherent in the plants, in small doses, have great potential in the prevention of pain and preventing diseases such as Alzheimer’s or cancer. The eventual addressable market for MMJ’s products could therefore be absolutely massive. At the same time, the company is in the very early stages of revenue, so there is still a lot of work to do and success is no guarantee. We’ve been impressed by MMJ for a while, and have been noticing its efforts to build a vertically integrated company which control over every stage of the medical cannabis supply/value chain. Legal growth of cannabis plants? Check. Extraction of key compounds from said plants? Check. Developing pharmaceutical products from said key compounds? Check. Sales of these compounds in industrial quantities? Soon to be check. Research and development pipeline? Check. By building a vertically integrated company, MMJ is uniquely positioned to gain first mover advantage as jurisdictions around the world wake up to the potential of medical cannabis as having the potential to both provide revenue and improve the lives of their citizens. In Australia, it’s laying the groundwork for a market entry. In Canada, it’s about to jump on a new opportunity. In both markets, it’s one of the only players with true vertical integration backing it. While other companies will undoubtedly try and flood the market as the opportunities start to open up, MMJ will have an ace up its sleeve in that it already has key supply chains locked down. While others are trying to figure out how to best make money in the increasingly open regulatory environment, MMJ has the ability to demonstrate to governments and other stakeholders that it’s already doing it. It’s already complying with regulatory bodies in at least three countries and has built a business spanning the globe. MMJ is willing, and most importantly able to export this experience around the world. If and when medical cannabis becomes ubiquitous in the treatment of various ailments and diseases, MMJ will already be a key player in the industry with superior positioning to other market hopefuls making their last-minute entries. ...but in MMJ’s case, we may have to adjust that to: “a market in time makes nine”. Canadian Pot Stocks Light Up the TSX: Is MMJ Next? MMJ Set to Boost Medical Cannabis Production Capacity by 1000%?